October Afternoon's brand-new Layout and Photo Pocket pages are the perfect system to preserve and showcase your scrapbooking mini-projects, ephemera, photos and more. This multi-pack of 6" x 8" sleeve styles features both square pockets especially suited for all of your Instagram and vintage photos, and rectangular pockets suited for all of your traditional photos and cards. Part of October Afternoon's complete modular-scrapbooking system -- "Daily Flash". Never start scrapping from a blank page again. Pocket structure provides a built-in arrangement for your mini-projects. 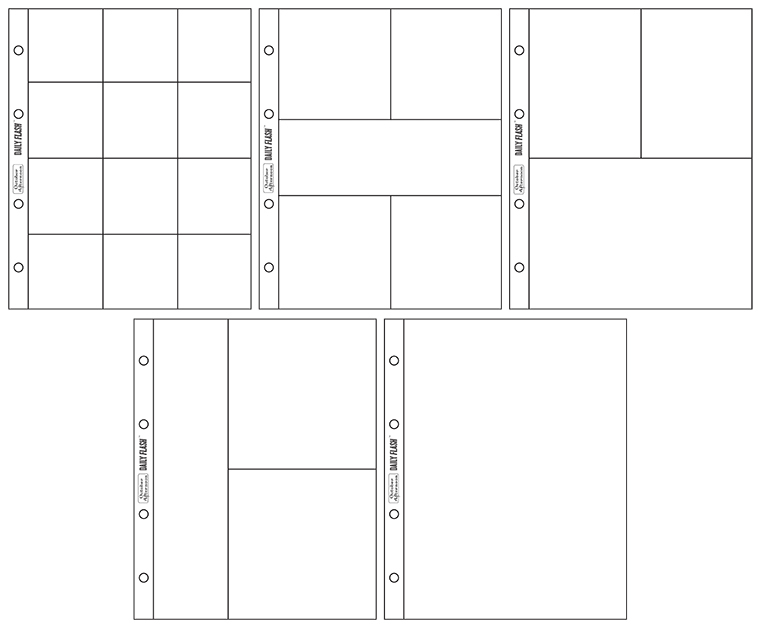 This multi-pack contains two each of 5 different styles of 6" x 8" sleeves. Constructed of high-quality, ultra-clear plastic. Pockets precision slit and seamed. Archival safe.